Home / HVAC Maintenance / Should I Repair or Replace My HVAC System? One of the most valuable and expensive parts of a home is the HVAC system. That’s why it can be difficult for homeowners to decide whether to repair or consider a full unit replacement when their HVAC system starts showing signs of problems. As a homeowner, it only makes sense to keep your HVAC system in tip-top shape – no matter what time of year. Following this logic, it’s best to schedule furnace and heating system maintenance during the fall. If your HVAC technician notices any issues with your heating system, you may need to decide between repairs or replacing the system altogether. Here are some common issues that require HVAC repair and some that warrant a full-on replacement. Be sure to check your monthly energy bills and compare them to the previous months’ bills. Significant increases may indicate a problem with your heating system. A professional HVAC technician can diagnose the problem and help determine whether a repair is warranted or if it’s time to consider a full replacement. Keep in mind, a new high efficiency HVAC system can represent substantial savings in utility bills – and make your home a lot more comfortable, too. Are you experiencing poor or weak airflow? It could be a sign of trouble with the blower motor or perhaps a dirty unit. Cold and hot spots in your home could also mean issues in your system’s ductwork. You won’t know for sure unless you get an HVAC repair technician to come over and diagnose it. 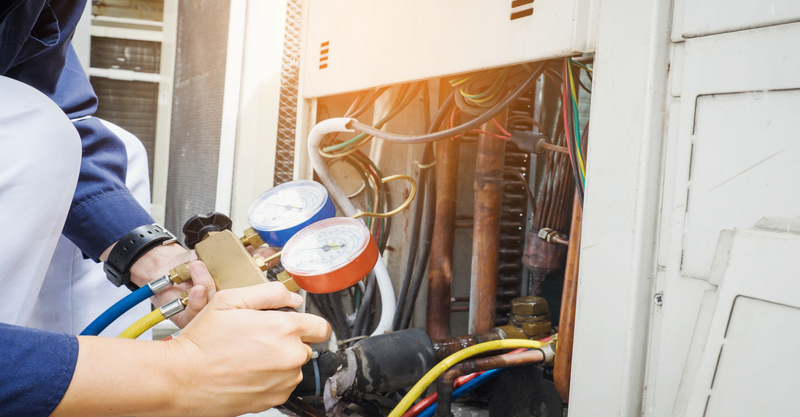 If you’ve been getting a lot of furnace or AC repairs in the last couple years, then it’s probably time to replace your HVAC system with a new one, especially if those repairs are getting more expensive. A good HVAC professional keeps track of the repairs performed on your system and can generally predict the amount of life left in your HVAC system. The indoor air quality of your home can be affected by leaky ductwork. Leaks allow dirt, debris, dust from crawl spaces and attics, to circulate to other parts of your home. If you’ve noticed more dust than normal, your HVAC technician can inspect and seal the accessible areas of your ductwork. You might also ask about duct cleaning. In the Bay Area, an average HVAC system should have a lifespan of 20 to 25 years. Of course, we can’t emphasize enough that keeping your HVAC system well-maintained can easily extend this lifespan – just as neglecting that same system will surely shorten its life expectancy and performance. A qualified HVAC technician should routinely check your unit and perform service and maintenance. If your current system is approaching the lower end of its expected lifespan, then it might be the right time to consider the benefits of a new high efficiency HVAC system. Be sure to explore options for HVAC rebates in your area. If you see any of the above warning signs in your heating system, it’s best to call an HVAC professional sooner rather than later. A skilled HVAC professional can properly assess your ductwork and equipment, and give you sound advice on how to solve any problem with your HVAC system. Need tips for choosing an HVAC repair company? Read this to learn what qualifications you should look for! 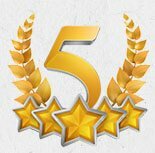 What Qualifications Should I Look For in an HVAC Repair Company?